DIFFUSING ESSENTIAL OILS DURING THE HOLIDAY SEASON CAN REALLY HELP YOU GET IN THE CHRISTMAS SPIRIT. I AM GOING TO SHARE MY FAVORITE ESSENTIAL OIL CHRISTMAS DIFFUSER BLENDS WITH YOU. I love diffusing for the season and Christmas time is definitely one of my favorite “scents.” It’s crazy how a time of year can have a particular smell but it just does. When I was looking at all my oils and picking out ones to blend for Christmas I went straight for cinnamon, clove, white fir, and peppermint. 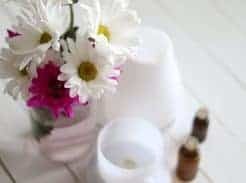 With these and a few other essential oils I came up with 10 Christmas diffuser blends that I am convinced you will love. This blend will really get you in the Christmas spirit! This sweet, yet spicy aroma smells like Christmas and it is full of immune boosting properties. Christmas cookies and candy canes are familiar smells of Christmas. This blend will remind you of sweet holiday treats and Christmas baking day. Even if you opt for an artificial Christmas tree, you can get that fresh pine smell in your home with this diffuser blend. This blend is made up of relaxing essential oils that can promote calmness and ease feelings of stress. Holiday joy is a spicy diffuser blend that will fill the air with Christmas cheer. The essential oils in this blend will cleanse and purify the air, while disperseing immune boosting properties. Winter days can feel long when it is dreary and cold out. Diffuse this blend to uplift the mood and promote positive feelings. This blends smells cool and clean with a burst of freshness. With the added white fir and crisp aroma of eucalyptus this has a beautiful winter smell. This fresh, sweet, minty diffuser blend smells like candy canes. The essential oils in this blend can promote focus, concentration, and give off a natural boost of energy. This diffuser blend is perfect to diffuse on those cold, snowy days. The oils in this blend give off a fresh, crisp scent, that will remind you of the holiday season. This blend is the perfect blend to diffuse on Christmas Day! It has a wonderful mix of all the scents of Christmas and will promote calmness and support the immune system. Spice cider will give off a warm, holiday feel while supporting the bodies immune system and cleansing the air. Diffuse this blend anytime during the cold winter months. The great thing about most the essential oils listed above is that they are powerful immune supporters. As we go into winter our immune system can be compromised. Lack of vitamin D, stress, not eating the best diet, less sleep, and germ exposure can all be key factors in this. 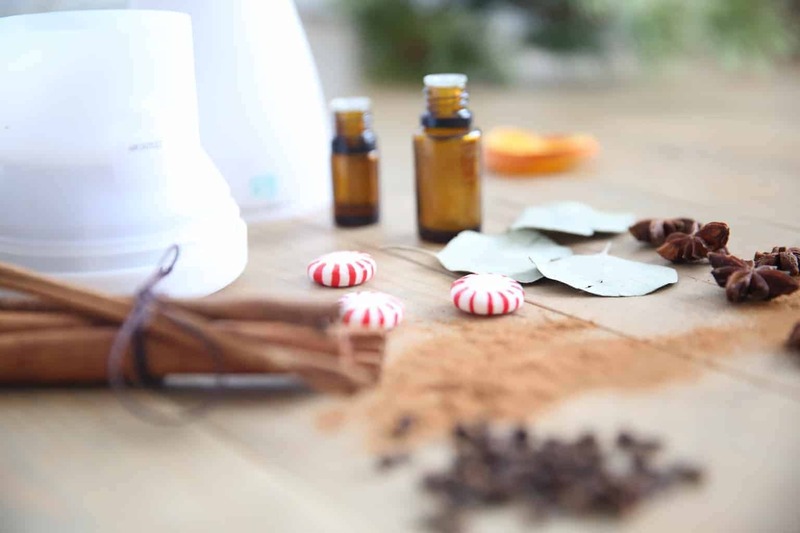 Diffusing essential oils like, clove, cinnamon, wild orange, and cassia, can help boost the immune system naturally. The winer months can lead to a lot of congestion, mucus, coughs, and stuffy noses. Eucalyptus, peppermint, bergamot, and cinnamon can be very helpful when dealing with any type of respiratory issues. 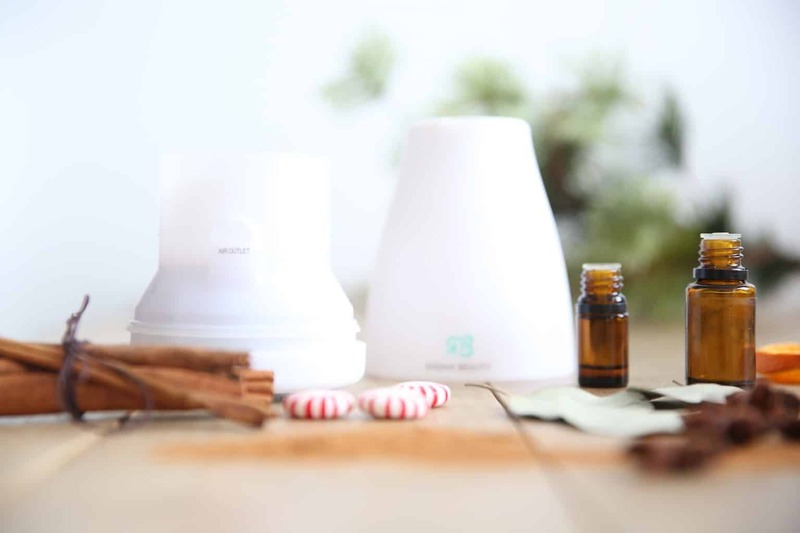 Diffusing these essential oils can open up airways, clear sinuses, and promote healthy breathing. Who could use some good ol’ fashion R&R during the holiday season? I sure can! 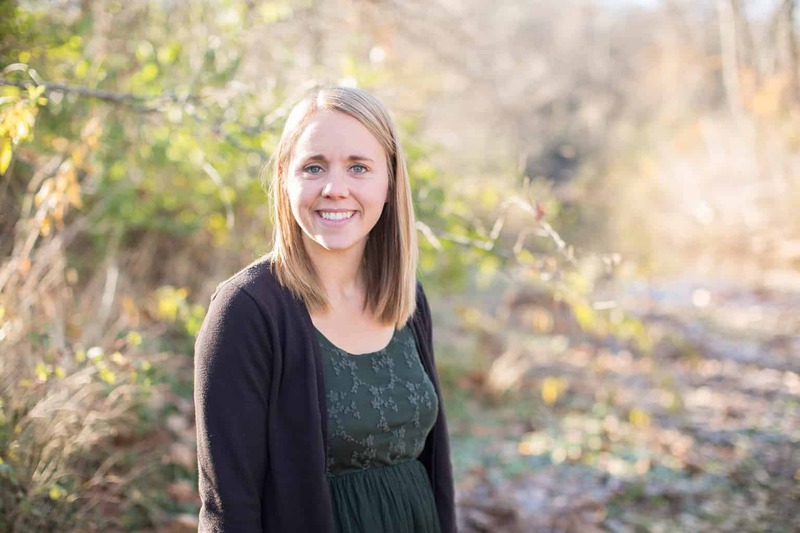 Christmas really is the most wonderful time of year, but it can get stressful. All the gift buying, baking, and family gatherings can be overwhelming. Thankfully, several of the essential oils in these Christmas diffuser blends are amazing for calming the nervous system, reducing stress, and helping with anxious feelings. 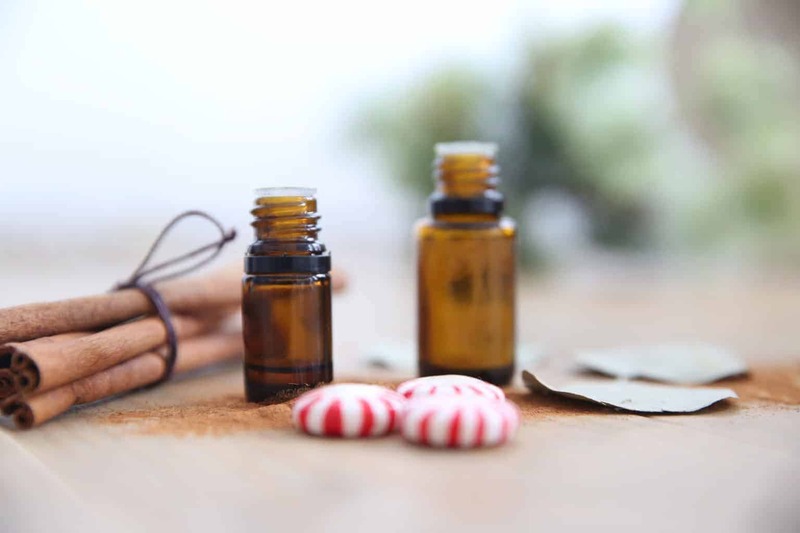 White fir, douglas fir, bergamot, wild orange, cypress, juniper berry, and sandalwood can work well for calming and relaxing when used aromatically. Whenever you have your next holiday gathering diffuse one of the Christmas blends, to wow your guest right when they walk in the door, and to cleanse the air. Not only do the blends put you in the Christmas spirit they can also kill airborne germs, cleanse, and purify the air. 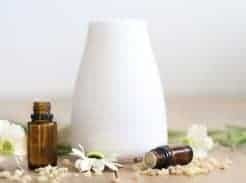 Essential oils like wild orange, cinnamon, clove, peppermint, and wintergreen can cleanse and purify the air. I hope you enjoy a few of these blends this Christmas season! What blend are you most excited to try?